In all honesty, producing an essay on time management means tackling a potentially boring topic. You've got to engage your reader -- emphasize its importance and relevance right from the start. Your challenge is to convince the reader that managing time is an essential skill to learn, one that anybody can improve. Not only do you need to convey a sense of meaning -- you also need to make it interesting and relevant. You may find, of course, that by time management essay writing you learn some valuable skills yourself! This is the starting point for your time management essay writing. Seek to address the little known fact that ‘time management’ is actually a misnomer. We can’t actually manage time -- it’s a constant that is equally slipping away from each of us. So it’s important to make the distinction between ‘managing your time’ and the more accurate definition of ‘managing your choices’. This is about the psychology of time management. Why does it matter? Or, to put it more accurately, why does it matter to some people more than it does to others? This is concerned with personal awareness. Someone who creates enough reasons to do so values their time. This could be circumstantial or deliberately created. For example this table may immediately affect how the reader feels about time. Most people feel their time management skills could be better, but to actually do anything about it they need to develop an intense enough desire to improve them. The most effective way to increase motivation is to focus on the benefits it brings. The Time Matrix explains the importance of doing what matters. The Pickle Jar Theory illustrates what happens when we put the little things first. The Pareto Principle uses leverage to create more ‘bang for your buck’. Time management goes hand in hand with goal setting. Whether we’re aware of them or not, we are all constantly setting ourselves goals. Some may be lifetime ambitions, others a little more modest. However it’s done, goal setting is both natural and automatic. Use your time management essay to highlight the difference between unconscious goals (those we don’t ‘know’ we’re trying to achieve), and conscious goals that we create and plan. Goal setting is such a huge field you’ll only cover the bare bones, so make sure you clarify the connection between goals and time. Goals cost time -- if you choose to pursue one path, you must accept that the other is closed. Time management tools can be as simple and low tech as you like -- think paper and pen. On the other hand, many people love to use the latest technology to organize their lives. 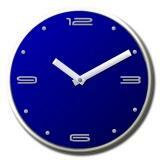 A comprehensive time management essay writing exercise will not only outline the various options available. It will explain what they should do and be. In other words, what are the functions it performs and how well does it perform them? There are advantages and disadvantages to every type of tool. Could you explain the basic differences between each? Most people use some sort of system to process their tasks and commitments, so it’s worth discussing what makes one work. A system needs to be simple enough to use, but powerful enough to work. Finding the balance between the two can be surprisingly tricky, so use this opportunity to explain some proven time management systems, or promote your own way of working. Certain strategies can be very powerful in terms of improving time management. 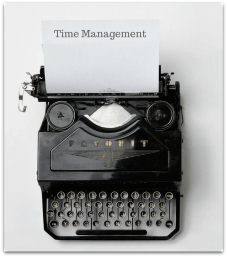 In this section, you could outline the most effective time management strategies to help readers improve their use of time. A major obstacle that many people struggle with is putting off things that matter, but can seem too hard or boring to do. Again there are some particularly useful strategies for overcoming procrastination centered around the notion of reducing resistance. There is plenty of material to write an outstanding time management essay. Make sure you include information that relates to the reader, sprinkle in some time management statistics to highlight your points... and write the thing. Rather than using the traditional ‘ready, aim, fire’ approach to essay writing where you research and plan but don’t actually do it until the last minute, try ‘ready, fire, aim’. In other words, prepare, but not too much. Just start writing. You can always clean it up and improve it later on. Your time management essay will be a success!